One of the most common phone calls we receive is, “I’ve got a toothache, what can I do”? Tooth pain can happen for a variety of reasons & it is very easy to think; “Oh it will go away on its own”. This may be true in some minor or mild cases but for the majority it actually escalates! Pain is the body’s way of alerting us that something is not right & if we don’t listen it gets louder & more painful. It is important to listen to the little signs before the big ones take off. Decay: This is probably the number one reason why teeth start to ache. Decay can start from poor oral hygiene, a diet of sugary, acidic foods or even chipping a tooth & leaving it. Deep fillings: When you get a cavity in your tooth the dentist needs to remove the decay & fill the tooth back up. Sometimes the decay can go right down to where the tooth’s nerve is. This can upset the nerve & it gets irritated causing pain. Cracked teeth: Our teeth get a really good workout day in day out so are put under a lot of pressure. Chewing on hard foods, grinding, age, trauma & heavily filled teeth can lead to cracks. Over time these cracks can become painful when we chew, eat or drink cold or hot foods or liquids. Occasionally these cracks can run right down into the roots of a tooth causing constant pain. Gum Infections: Periodontal disease is the inflammation & infection of the gums. It is caused by plaque which is bacteria that builds up on the teeth. It hardens into calculus or is sometimes known as tartar. Poor oral hygiene & smoking is a major contributor to gum problems, although sometimes it is hereditary. Your gums can become red & tender & abscesses can occur between the teeth & gums, this can be very painful. Ok, now we know some of the causes of toothache, what can we do to prevent them & what signs do we look out for……….. The best way to prevent getting tooth pain is to visit the dentist regularly. We can hear you say I can’t afford it or I haven’t got the time. Well let us tell you a 6 monthly check up & clean is cheaper & much less painful than having to have an extraction or root canal treatment! The dentist can pick up any problems when they are very small & easily fixed. Your gums will always be clean & free from calculus & best of all you get to see us twice a year! Now for the symptoms & what to look out for……………………………….. Your tooth is fine until you have a drink of cold water; a short, sharp nerve pain causes you to nearly go through the roof. The pain is short lasting. This could be hypersensitivity or gum recession from overzealous brushing exposing the sensitive dentine. You could try a sensitive toothpaste such as Colgate Sensitive Pro relief or Sensodyne for a few days (you can actually rub it on like an ointment on the affected tooth) to see if it settles, also make sure you are using a soft toothbrush & don’t scrub! If the does not resolve make an appointment with the dentist. Your tooth is very sensitive to hot & cold, temperature starts pain that lingers for more than one minute and/ or it hurts to bite or chew. These symptoms always need to be addressed. It could be a cracked tooth or the start of an infection, either way the sooner it is investigated the better. The symptoms do not usually go away. 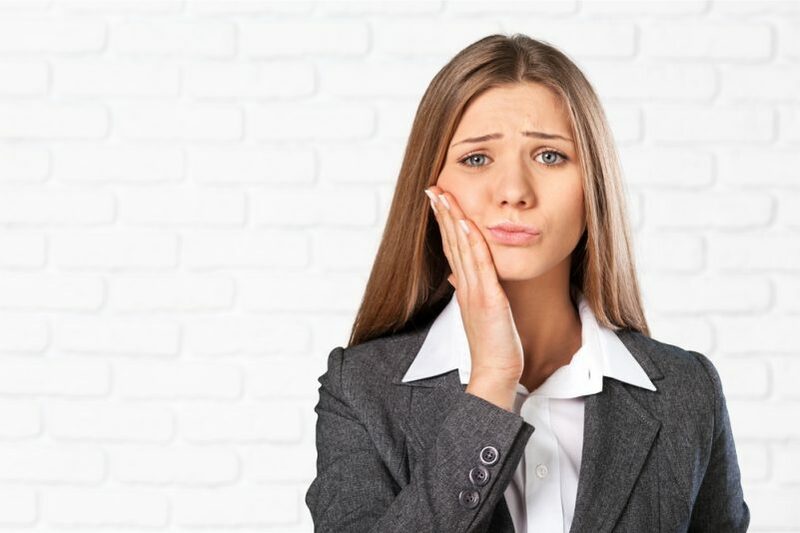 Constant pain, the tooth is extremely sensitive to heat, you cannot bite your teeth together, the pain is waking you up at night, a pus pimple on the gum or facial swelling. This is nearly always an infection & needs to be treated immediately! Sore red, angry gums, bad taste in mouth & bad breathe; this is most likely a gum infection, again make an appointment with the dentist ASAP. Wisdom tooth pain – this is usually felt towards the back of the jaw. It can be quite minor if there is enough room for the tooth to come through. If this is the case then make sure to keep the area clean, rinse with some warm salty water & take some pain killers. If the pain becomes constant, there is gum or facial swelling or your glands under your jaw are tender or your ear becomes painful then there is possibly a gum infection around the erupting tooth. Make an appointment with your dentist straight away. When did the pain start & how long have you been having symptoms? Do you feel any lost fillings or broken teeth? Does the tooth react to hot or cold or both? Does the tooth hurt while you are biting your teeth together or when you release the pressure? Is the pain short & sharp or does it linger? Do you need pain relief like Panadol or Nurofen? So the bottom line is don’t leave tooth pain hoping it will go away, it can end up causing you a great deal of unnecessary pain & expense!